Anthropologies of African Biosciences (AAB) is a network of scholars concerned with the sites, practices, and legacies of biomedical and field biological research in Africa. Founded by anthropologists and historians, collaborating across arts, humanities and social sciences, our interests range from technology to aesthetics, political economy to ethics, and across the continent, with a sub-Saharan focus, from Senegal, The Gambia, Ghana, and Nigeria in the West, through Cameroon, Democratic Republic of Congo, and Malawi in Central Africa, to Tanzania, Kenya, and Uganda in the East. Our methods draw from a wide range of disciplines, and engage in conversations with the sciences and the visual and literary arts, in order to investigate and illuminate social, cultural, spatial and temporal dimensions of science in Africa in all its richness. 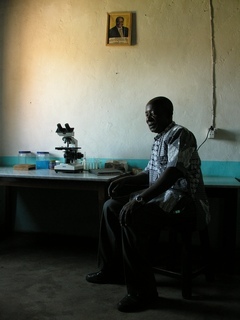 Our interest in the ethos, practice, and traces of science as a longstanding mode of engagement with African development and ideas of potential and failure, draws upon a decade of interdisciplinary work, through which we have developed a unique historical-anthropological approach to medicine and science in Africa, creatively stretching our disciplinary limitations. Foregrounding temporality in our anthropological work on science – memory and anticipation, waiting and deferral, decay and restoration, forgetting and commemoration – our work is about the presence of the past, including absent presences, and about past and present futures in contemporary scientific work and lives. At the same time we have continuously expanded the sources and traction of historical analysis by treating remains, traces and sites of past bioscience as alternative forms of archive, and by conducting “ethnographies” of conventional archival repositories.